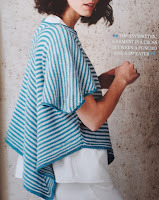 Issue 124 of The Knitter is in the shops in the UK now and I've got two patterns in this issue. First up is a beautiful christening gown, Beloved, I designed for West Yorkshire Spinners Exquisite Lace. 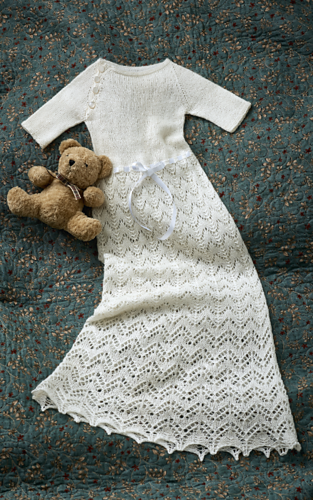 The Knitter says: 'This timeless christening gown by Anniken Allis has an heirloom quality, thanks to the use of Exquisite Lace, a very special yarn from British brand West Yorkshire Spinners. This laceweight blend of soft Falkland Island wool and mulberry silk knits up into the most luxurious fabric - perfect for creating precious knits'. 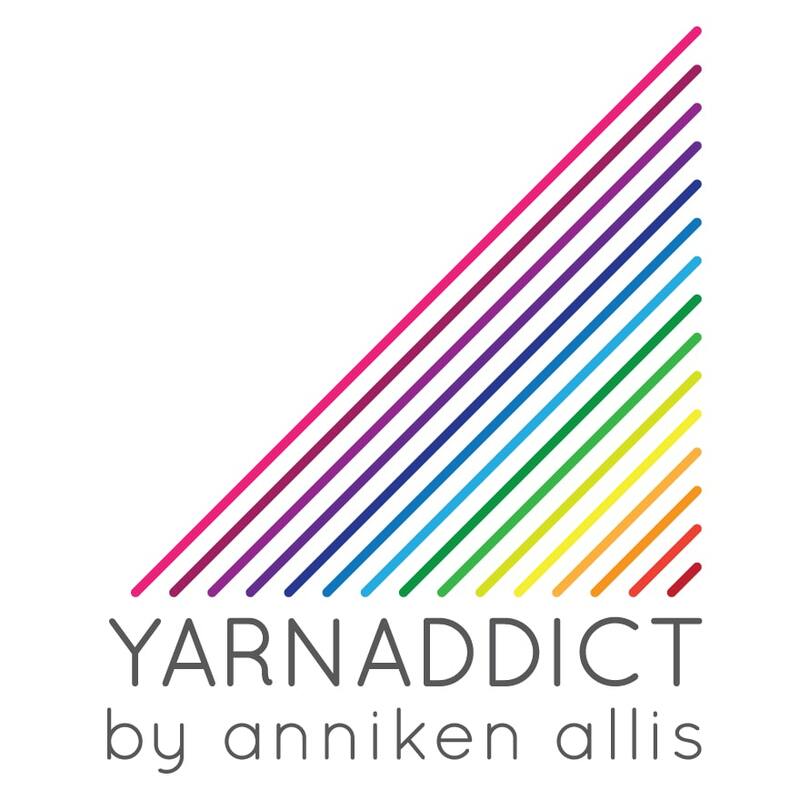 The gown comes in four sizes and the smallest two sizes only takes one skein and the largest two takes two skeins. 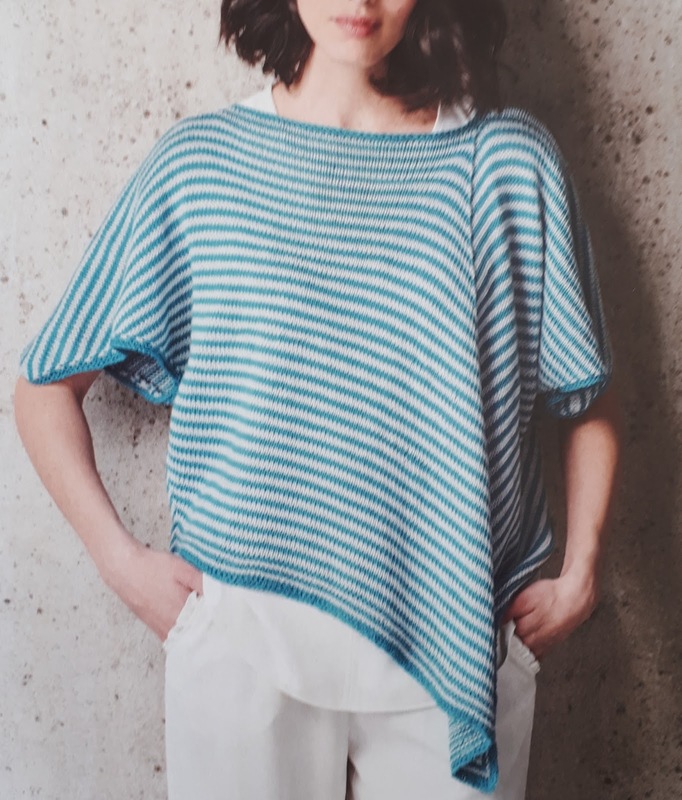 Beloved is knitted in one piece from the top down with a raglan yoke. buttons along one raglan makes it easy to get on and off the baby. The yoke is in stocking stitch and the skirt showcases two traditional lace patterns. Up next is Ginevra, a loose, lightweight top which is fabulously comfortable and effortlessly chic! 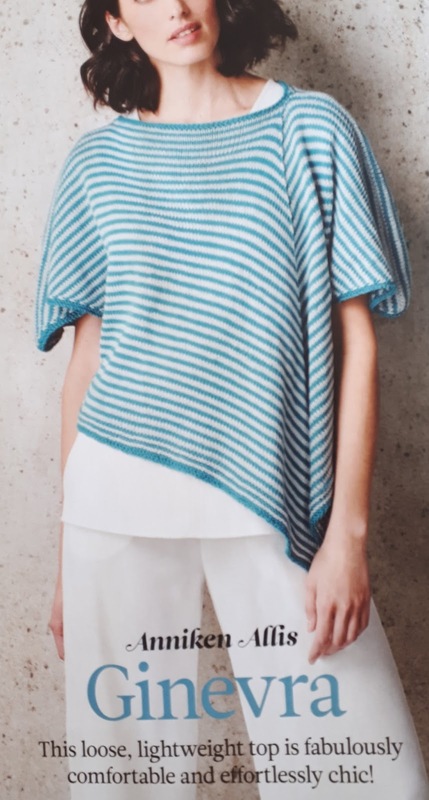 When I designed this top, I set out to create a cross between a poncho and a sweater. The result is an asymmetric garment that's loose-fitting and easy to wear. 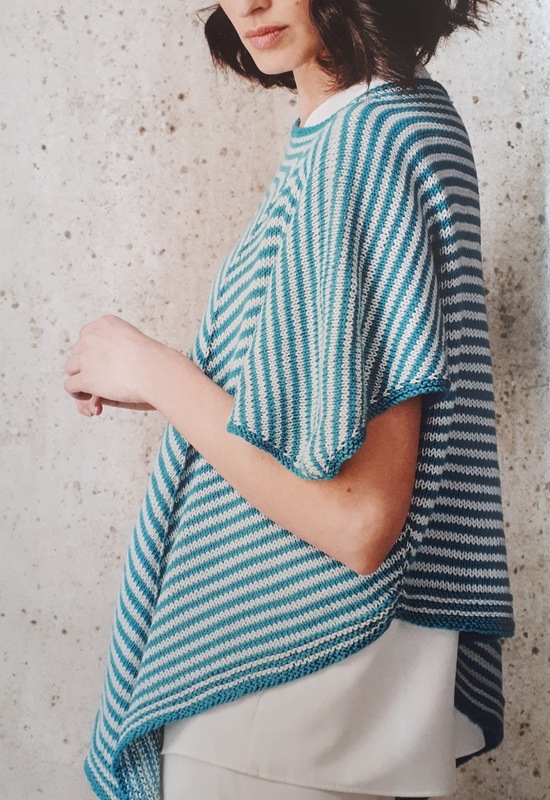 The stripe pattern emphasizes the shaping and the bias fabric is achieved by working off-centre decreases on each side. Please check pattern notes re sizing and blocking before starting, which will help you achieve a good fit and finish. 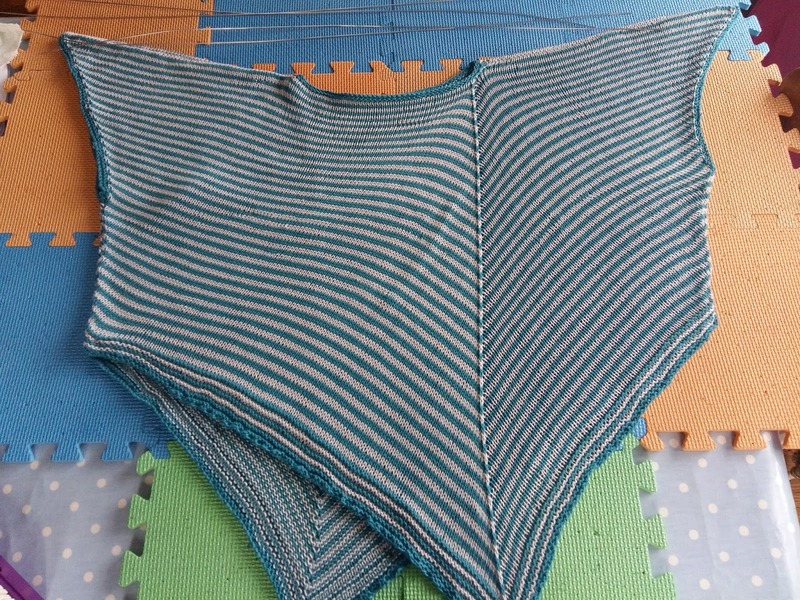 Ginevra requires quite aggressive blocking to pull it into shape but the result is a top with beautiful drape. The Knitter 124 is in the shops in the UK now.